Meditation is a practice of fostering qualities such as a calm and clear mind, mental, emotional and physical balance and compassion. Researchers are producing studies that show many benefits to a regular meditation practice including improved immune system function, lowered inflammatory markers, improved sleep and decreased anxiety, as examples. 1. Focused Attention: this is a focused awareness of the in and out pattern of the breath cycle. The breath is the most common object of focus, but other objects can be used such as a repeated mantra or phrase or even a sound. Even for those who are accomplished meditators the mind will wander. An aim is to gently pull the mind back toward the breath or object or sound. 2. Mindfulness: involves observing and being present in the moment; noticing sights, sounds, smells, flavors, textures, temperatures, air movement and even internal body sensations without being carried away by them. I often teach my nutrition clients to be more mindful of food; giving thanks before eating, noticing the colors and appearance of their food and chewing each forkful slowly, with intention. 3. Compassion and Loving Kindness: in this practice the person meditating strives to create feelings of love, care, and good will to other people, the world and even to oneself. 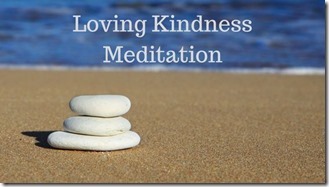 The meditation linked below is an example of Compassion and Loving Kindness. 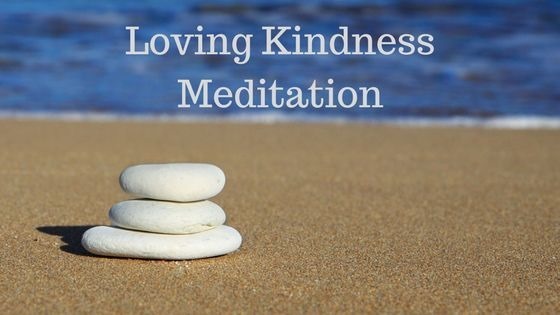 Please consider leaving a comment below sharing your favorite meditation or your thoughts about the Loving Kindness Meditation.